Jose Mourinho surprised quite a few people by opting for a centre-midfield partnership of Marouane Fellaini and Nemanja Matic in the 4-0 win over Everton. Ander Herrera dropped to the bench, with Paul Pogba ruled out with a hamstring injury sustained in the Champions League game against Basel in midweek. 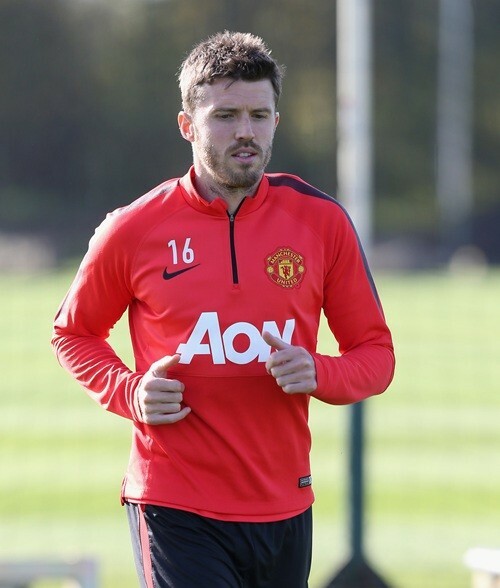 Going forward, Mourinho faces the even bigger dilemma of how to replace the somewhat irreplaceable Michael Carrick, who has been a lynchpin in the middle of the park since his move from Tottenham in 2006. The 36-year-old ran down his contract last season and it was thought he could retire in the summer, but he was instead rewarded with a new one-year deal and made club captain following Wayne Rooney’s departure. The current campaign is expected to be his last, however, so the Red Devils are now planning for life without him. The Daily Star claim that United had scouts in attendance at Roma vs Atletico Madrid last week as conveniently, they are monitoring both Radja Nainggolan and Saul Niguez. It’s going to be very expensive to take the latter from Atleti given that he signed a nine-year extension earlier this summer, but Nainggolan has been linked with a move to the Premier League for some time. Diego Simeone’s decision to stay with the Rojiblancos could be key to convincing their key men to remain in the Spanish capital. A box-to-box midfielder more in the vein of Pogba than Carrick, the Belgian international is also wanted by Chelsea, per Metro.